Dr. Courtland Wyatt is a native of St. Louis, MO where he learned the value of hard work at an early age. A veteran of the United States Army, he went on to attend Howard University where he was a member of the Dean’s list and obtained his Masters Degree in Physical Therapy. 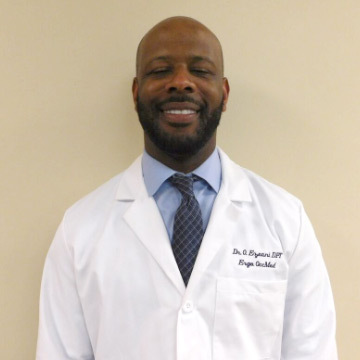 Dr. Wyatt has filled the position of adjunct professor at Howard University, George Washington University and Montgomery Community College in their respective PT departments. After receiving a Doctorate of Physical Therapy from Alabama State University, he began a non-profit organization aimed at eliminating health disparities in socioeconomically deprived areas across the nation. The program provides scholarships, mentoring, health/wellness and educational resources. In addition to his roles of CEO and therapist, he is also co-owner of Ergo Solutions, which has developed into the largest outsourcing physical rehab company in Washington, DC. Dr. Olu Ezeani is the Chief Financial Officer and Co-founder of Ergo Solutions LLC. Dr. Ezeani has extensive experience in the field of Rehabilitation. Olu has been a practicing physical therapist for 19 years. His career started with Rehability Corporation LLC where he served as a staff physical therapist of an outpatient orthopedic and industrial rehabilitation clinic. Approximately 2 years later he joined Health South Corporation. Health South was publicly traded and the largest Rehabilitation company in the country. Dr. Ezeani was promoted from a staff physical to clinic manager. The following year he was promoted again to Area administrator. As an area administrator he was responsible for the management and operations of several local outpatient clinics. Olu reported to the area vice president on a weekly basis on everything from daily operations to metrics. As a practicing clinician and manager he was recognized as one of the top billers in the state of MD. Dr. Ezeani was referred upon by upper management as a clinician model to follow in regards to improving billing and documentation. Dr. Ezeani was also responsible for growing revenues at all clinics that he managed. He developed key relationships with area physicians as well as nurse case managers from several insurance companies through his marketing efforts. The clinics that Dr. Ezeani managed had a clinical model that reflected good quality care and good customer service. Dr. Ezeani has been the CFO for Ergo Solutions LLC since 2002. Through the experience and skills that were gained through Dr. Ezeani’s previous employment allowed him the ability to start his own Rehabilitation Company with Mr. Brownlee. Dr. Ezeani along with his partners are responsible for growing the company from 2 employees to 100 employees over the past 10 years. Olu has been responsible for the set up and infrastructure for Ergo Solutions along with George Brownlee former CEO since the inception. Since the beginning Dr. Ezeani has worn many hats to include treating therapist, clinic manager, CFO, payroll administrator, Contract specialist, insurance credentialing specialist, set up initial operating agreement, established the SBA relationship, maintained banking relationships, raised working capital, facilitated the growth that allowed for the transition from SBA to commercial banking. Dr. Ezeani plays a major role in financial responsibility, product and development, marketing, and maintaining key relationships which allow Ergo Solutions to maintain being a viable player in the market place. Olu has mentored and trained all former staff accountants and comptrollers including former VP of Finance. Dr. Ezeani works closely with current CEO Dr. Wyatt to ensure that all aspects of the company are moving in sync. Dr. Wyatt and Dr. Ezeani collaborate on product development and have been the primary equity capital investors in Ergo solutions LLC in recent years. Dr. Ezeani has recently become the chairman and CEO of U.S. Pan American Solutions LLC which is a procurement company. In addition Olu has consulted with a new start up email encryption data company. Dr. Ezeani received his B.S. degree from Howard University and his Doctoral degree from The College of St. Scholastica in Duluth, MN. 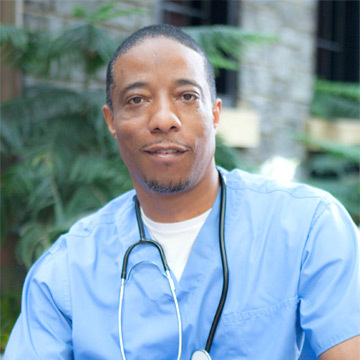 is a graduate of Alabama State University where he obtained his Doctorate in Physical Therapy. He completed his undergraduate work at Florida A&M University with a Bachelor of Science degree in Physical Therapy. He is a Certified Clinical Instructor (CI) and an active APTA member in the orthopedic sector. 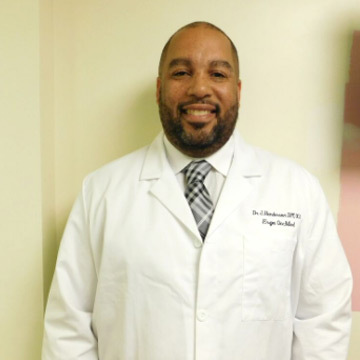 Dr. Henderson is also a Board Certified Orthopedic Clinical Specialist. Specialties: Jason has a keen interest in the treatment of orthopedic injuries and providing post-operative rehabilitation. His strong background in competitive sports and peak performance training has afforded him the opportunity to work closely within youth sports communities providing PT services, consultation, education and injury prevention screenings. Jason has cutting edge knowledge using movement analysis software and is able to use those analytics to evaluate athletes; specifically, runners.